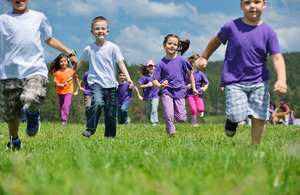 The Local Government Association and PHE have produced a guide for local councillors about the National Child Measurement Programme (NCMP). This programme became a duty of local government in April 2013. The National Child Measurement Programme involves annual measurement of the height and weight of children in reception year and Year 6. Local authorities return the data to the Health and Social Care Information Centre. The briefing, available from the LGA website, also lists a range of sources for further information, including Healthy Lives Healthy People.